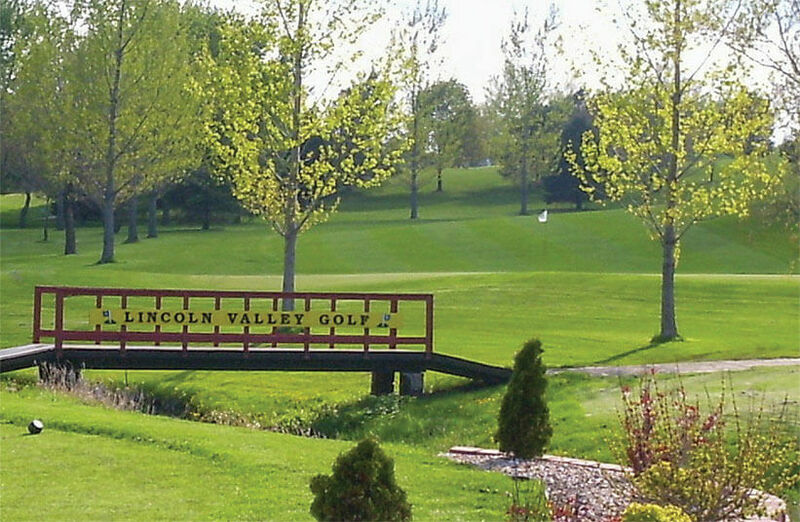 Lincoln Valley in State Center, Iowa features an 18-hole par 72 premier golf course. At 6432 yards from the championship tees, it is ideal for golfers of all abilities. It features blue grass fairways and Superintendent Dustin Eggers produces the best bent grass greens in the area hands down. If you are looking for a place to join, Lincoln Valley offers competitive membership prices and the best deal for cart storage and trail fees around. Cart spaces are available. Members enjoy the chance to play in many member golf events and take part in social events in the bar and banquet room. Lincoln Valley has a beautiful clubhouse with full service bar, and a banquet facility that seats 250-300 people for your wedding reception, business meeting, or family reunion. Other membership amenities include weekly golf groups of all ages, i.e. senior morning 9-hole groups, women’s night, men’s league, and couples night. Want to try Lincoln Valley out before you join, guests are welcome for all of our weekly groups this year. If you do not play enough to join, like playing many different courses throughout the year, or are just passing through, why not “Do It in the Valley”! Check out the open golf tournaments for the competitive golfer.